Log cabins UK – what is different to other countries? Log Cabins UK, is a fairly recent craze, but one which continues to grow and gain in popularity. But what factors in the UK are particularly important, in respect of log cabins? Well each country has is differences and you must respect what these are, as the country your log cabin is manufactured, may not be the same as the UK. Also planning and legal issues vary significantly between countries and these must be understood too! So what aspects of log cabins need to be considered, to ensure the success of your cabin for a UK site? Well as we have already hinted, the designs do vary across the world. The designs have often resulted from the predominate weather conditions found in that country. The materials too, will vary according to where they are sourced from. As log cabins are manufactured in a relatively small amount of countries, you need to think about how the UK varies from the point of manufacture. Well there is no getting away from it that the Brits love to talk about the weather! When you think about it though, perhaps this is not so surprising. The UK is predominately one relatively small island (apart from Northern Ireland), and being situated on the edge of the Atlantic, the weather can be very changeable. It also means that on average the UK climate is wetter than many other European countries. Now moisture and timber must be properly managed, so in the UK this is a essential aspect to look at. The relative humidity also has an impact, as this affects how quickly things i.e. timber will dry out. The other aspects of the weather is sunlight, or more specifically ultra violet rays. Discover more in our log cabins UK weather section. Your physical site location, may well have some impact on your log cabin. Close proximity to water, especially salt water, i.e. the sea, will need careful management. I have seen log buildings which have on the coast which have deteriorated considerably faster than you would normally find. The salt water spray whipped inland by the wind can be quite damaging, if it's not dealt with properly. There are other things to consider too for those inland, so we reveal what these are in our site location section. I am afraid to say through many years of experience, that sometimes the planning process in the UK is a frustrating one! However it does vary a lot across different parts of the UK. The planners often like to have an input as to what your log cabin will look like. So if you need planning permission for your log cabin, then discover the key areas that will affect your planning appliaction. 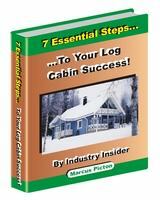 If your log cabin is subject to building regs, then this can have a huge effect on your project. Whilst many garden cabins can get away with little or no building control input, for larger log cabins, such as log homes, the almost certainly will. This will impact on the foundation requirements, insulation, minimum and maximum dimension criteria for steps, doorways, access, fire escapes etc. There is also one really big one for a log cabin and that is fire treatment. This alone can have a really big impact on the cost of log cabins UK, so you must understand what you need to do to comply and what options you have. In many respects the UK building regs for log cabin are some of the most stringent in the world, so find out what you need to know now about building regulations and codes. 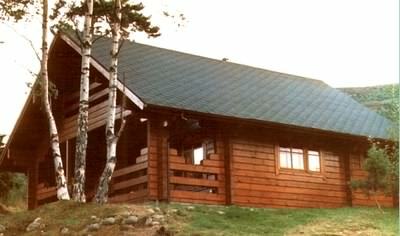 Of all log cabins UK, Scotland from my experience has the largest number of log cabin per head in the UK. Well it is not hard to see why, if you travel across Scotland and see the rugged mountainous landscape and vast areas of forest that there is here. That combined with plenty of space, gives some wonderful locations, in which a log cabin is so at home. As the weather in the north of Scotland is quite a bit different to the south coast of England, it pays to do your homework. 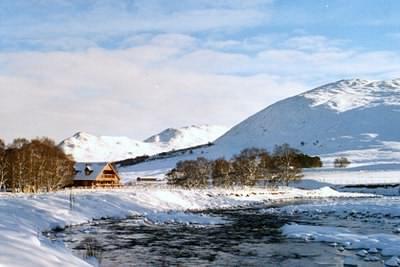 Click here to discover what you need to know for a log cabin in Scotland.